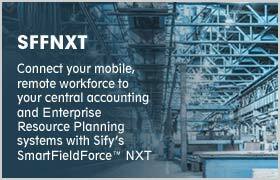 Kochi, Friday, June 19, 2015: Sify Technologies Limited (NASDAQ NM: SIFY), a leader in Managed Enterprise, Network, IT and Software services in India with global delivery capabilities, today announced the launch of the company’s Cloud services targeted at the Enterprise and SMB market in Kerala. Sify has tested the Kerala market and has received encouraging response. 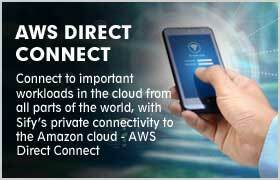 As a special offer, Sify’s Cloud services will be made available to customers in Kerala for a trial period 15-day. Sify has chosen a mix of internal promotions and Channel partners to maximize its go-to-market strategy. Under its Cloud services portfolio, Sify will offer Public, Private and Managed Cloud services to Kerala market which is fast emerging as an important SMB hub. With the second largest digital service penetration in the country, Kerala is an attractive market for adoption of new age IT technologies. Commenting on the occasion, Raju Vegesna, Chairman, Sify Technologies, said, "We have received commendable response from Enterprises and SMBs here and are extremely excited to enter Kerala in a big way. 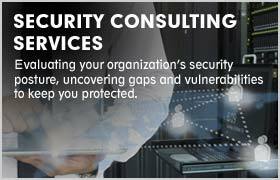 At Sify, we focus on building sustainable Cloud & Managed solutions for our customers. We are confident that with Sify’s scalable and resilient Cloud offerings, Enterprises and SMBs here will be able to achieve their business goals." Sify’s Cloud offerings leverage enterprise-class technology to guarantee high availability, performance, scalability and security. 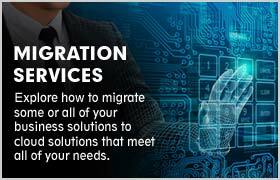 The services are a testament to Sify's proven expertise in Cloud services and are offered in customizable, cost-effective models that are easy to deploy and use. The breadth of Sify's expertise in end-to-end IT services makes Sify the ideal partner to manage the full spectrum of the IT needs of all organizations, across sector and scale. 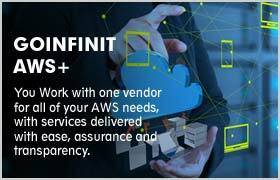 Sify offers the benefits of isolated and flexible Private Cloud environment is powered by CloudInfinit Platform. Sify is among the largest integrated ICT Solutions and Services companies in India, offering end-to-end solutions with a comprehensive range of products delivered over a common telecom data network infrastructure reaching more than 1300 cities and towns in India. This telecom network today connects 45 Data Centres across India including Sify’s 6 concurrently maintainable Data Centres across the cities of Chennai, Mumbai, Delhi and Bengaluru. A significant part of the company’s revenue is derived from Enterprise Services, comprised of Telecom services, Data Centre services, Cloud and Managed services, Applications Integration services and Technology Integration services. Sify also provides services that cater to the burgeoning demands of the SMB community, much of it on its Cloud services platform. Sify is ISO 9001:2008 certified for Enterprise Sales, Provisioning, support and customer relationship management of ICT solutions and services including VPN, Network, Voice, Data Centre hosting, Integration services, security services and managed services. Sify has been certified in ISO / IEC 20000 - 1:2011 and ISO/IEC 27001:2005 certified for Internet Data Centre operations. Sify has been certified in SSAE16 SOC2 Type II for Cloud Infrastructure and in TL 9000 for Enterprise Network Services, Network Integration Services including Design, Implementation and Support services. 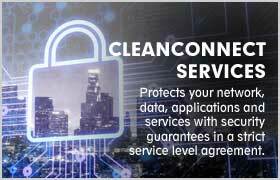 The latter certification is telecommunication industry's quality system standard that expands the requirements of the International Standards Organization's ISO 9000 quality management standard in use by industries worldwide. Sify has licenses to operate NLD (National Long Distance), ILD (International Long Distance) services and ISP services and offers VoIP backhaul for international carriers. With the Sify Cable landing station and partnerships with submarine cable companies globally, Sify is present in almost all the spheres of the ICT eco system. Sify has an expanding base of Managed Services customers, both in India and overseas, and is India’s first enterprise managed services provider to launch a Security Operations Centre (SOC) to deliver managed security services. The software team develops applications and offers services to improve business efficiencies of its current and prospective client bases. Sify also offers services in the specialized domains of eLearning, both in India and globally. This press release contains forward-looking statements within the meaning of Section 27A of the Securities Act of 1933, as amended, and Section 21E of the Securities Exchange Act of 1934, as amended. The forward-looking statements contained herein are subject to risks and uncertainties that could cause actual results to differ materially from those reflected in the forward-looking statements. Sify undertakes no duty to update any forward-looking statements. For a discussion of the risks associated with Sify’s business, please see the discussion under the caption “Risk Factors” in the company’s Annual Report on Form 20-F for the year ended March 31, 2014, which has been filed with the United States Securities and Exchange Commission and is available by accessing the database maintained by the SEC at www.sec.gov, and Sify’s other reports filed with the SEC.